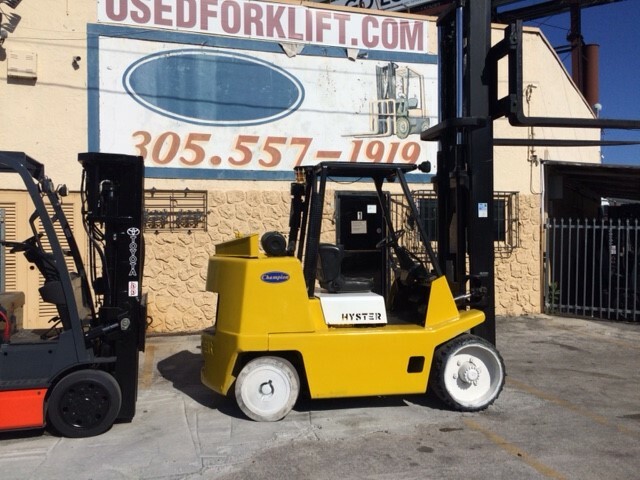 Champion Forklift Corp. provides forklift sales and rentals of new and reconditioned forklifts and a full line of gas and diesel industrial trucks. Champion ForkLift Corp. offers a wide range of new or used (reconditioned forklifts) in order to satisfy your actual material handling needs. Some of our more popular brands include, NISSAN, CAT, TOYOTA, YALE, CLARK, TCM, KOMATSU, CROWN, etc. We also have a complete stock of original parts and accessories. In addition we provide service, training, and fleet management to our customers in the US, Central and South America.